Just Visiting is an American retelling of the 1993 French comedy Les Visiteurs, in which stars Jean Reno and Christian Clavier reprise their popular roles for original director Jean-Marie Gaubert. In the film, a French nobleman, Count Thibault of Malfete (Jean Reno), and his servant Andre (Christian Clavier) find themselves in modern-day Chicago, transported from the 12th century due to a wizard's (Malcolm McDowell) flawed time-travel potion. 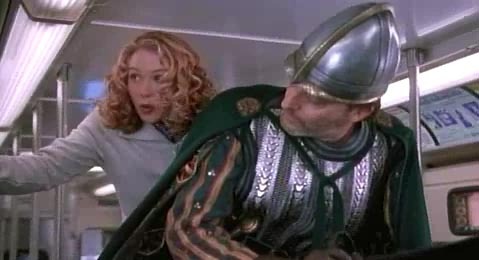 Confused, lost, and overwhelmed, they meet Thibault's descendant Julia Malfete (Christina Applegate) and her scheming fiancé, Hunter (Matthew Ross). Thibault and André soon realize they must quickly find a way back to their own time, otherwise Julia and all of Thibault's lineage will never exist. A shot of the 6000s from just_visiting_500.mov. 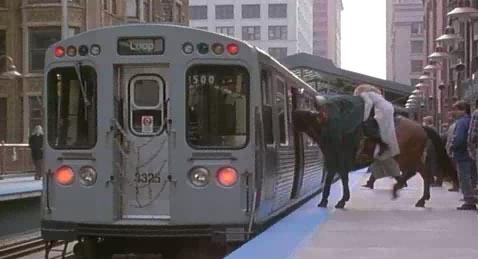 visiting1.jpg (29k): Count Thibault and Julia board the "L" on horseback at Library-State/Van Buren. visiting2.jpg (31k): Thibault and Julia walk their horse down the center of the car file. 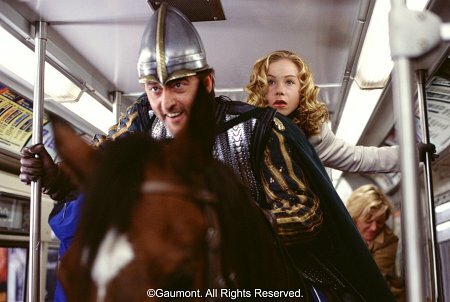 visiting3.jpg (29k): Thibault and Julia on the horse, on the "L" car. CountThibault&Julia.jpg (33k): Another shot of Thibault and Julia on the horse, on the "L" car. 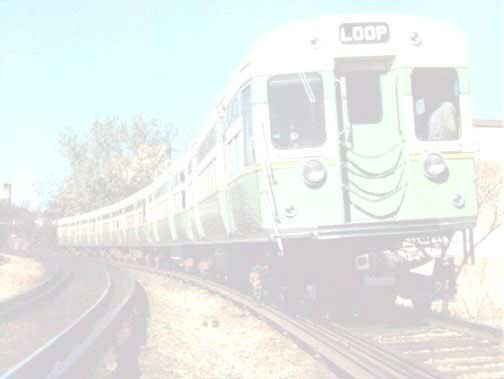 The car seen in the film is car 3325, a Brown Line-assigned 3200-series unit. Since their delivery to the system, the Ravenswood 3200-series cars have been the most commonly used units for film making. 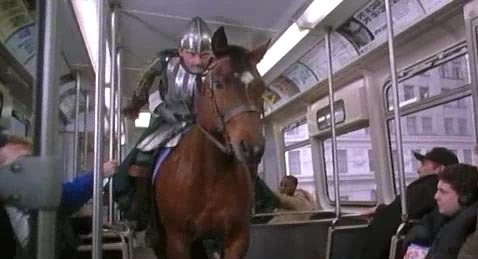 Count Thibault and Julia board the "L" (on a horse) at the Library-State/Van Buren Outer Loop station.